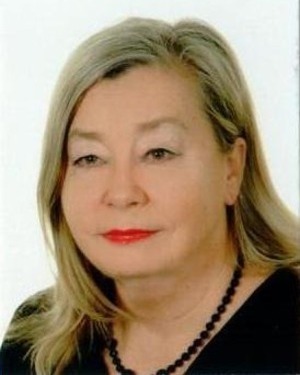 Professor Barbara Namysłowska Wilczyńska-graduate degree from the Faculty of Natural Sciences, discipline- geology at the University of Wroclaw, Poland. She received the degree of Doctor of Technical Sciences (PhD), in a scientific discipline - engineering geology, mining, in 3.05.1980, defending a doctoral dissertation entitled. "Quantitative analysis of spatial variability of parameters of geological sediments of the lower Zechstein (Permian) in the area of the mine Lubin", the Institute of Geotechnical Engineering, Wroclaw University of Science and Technology, Poland. In 10.10.1994 completed habilitation at the Faculty of Geology, Geophysics and Environmental Protection, University of Science and Technology in Cracow, Poland, based on the dissertation entitled. "The variability of copper ore deposits in Foresudetic Monocline in the light of geostatistical studies." Resolution habilitation granting doctoral degree of Earth Sciences in the discipline of geology, dated 10.10.1994. Prof. B. Namysłowska-Wilczyńska was approved by the Presidium of the Central Control Commission in Warsaw, in 27.03.1995. In 30.12.2009 President of Poland Lech Kaczynski awarded Barbara Namyslowska-Wilczynska - title of Professor Technical Sciences, handing the nomination at the Presidential Palace in Warsaw, in 03.03.2010.